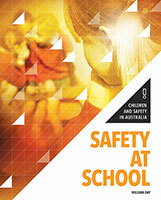 Schools in Australia and around the world all have procedures and rules for keeping children safe. Even at school, where there are teachers to look after them, children still need to learn about safety and behaving thoughtfully towards others. Once they leave school grounds, children face different challenges, including road safety and stranger danger. Feeling sick, facing a sudden emergency, sun safety and much more are all covered, making this book a useful resource for any parent or teacher, as well as vital reading for children themselves.